The Ladies of the Creation; Or, how I was cured of being a strong-minded woman. 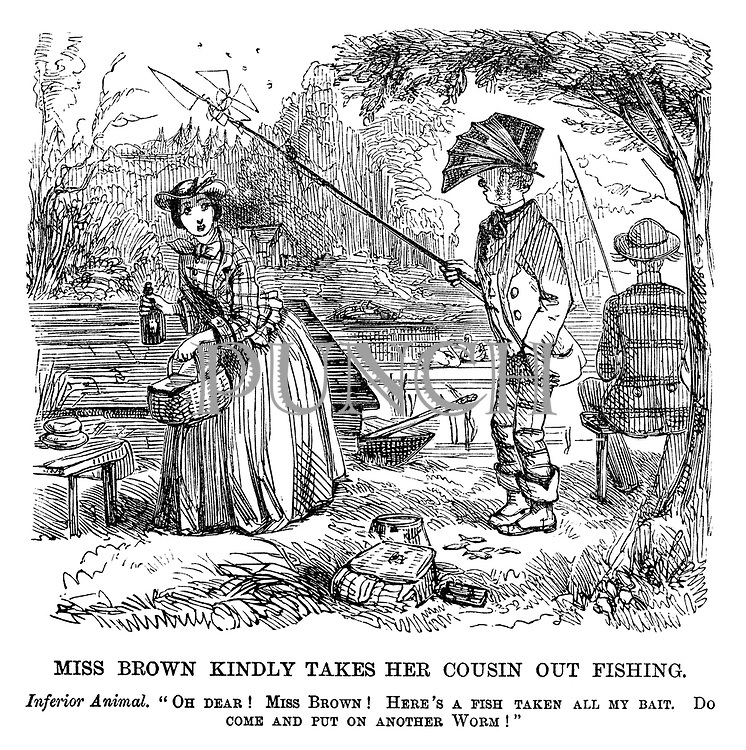 Miss Brown Kindly Takes her Cousin out Fishing. Inferior animal. "Oh dear! Miss Brown! Here's a fish taken all my bait. Do come and put on another worm!"